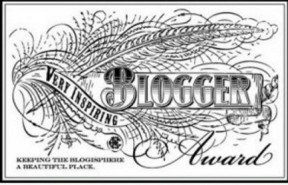 I was recently nominated for The Very Inspiring Blogger Award, thank you, Bell Night! What a pleasant surprise! With these awards, there are usually a few requirements once you’re nominated. They’re a nice way to connect with and share other blogs. Nominate 15 bloggers for this award and link to them. When I was 12, my parents let me have a horse for my birthday. Not just any horse, but the horse I had fallen in love with at the stable where I took lessons. That horse shaped the person I am today, teaching me love, patience, and trust, and I’m forever grateful that my parents let me have him. I was in middle school when The Lord of the Rings came out in theaters. I asked my mom to check The Fellowship of the Ring out of the library, but she brought back The Silmarillion instead, since The Fellowship of the Ring was checked out. It was my introduction to Middle Earth and J. R. R. Tolkien, and is still my favorite book. I’ll never forget the one stray dog I couldn’t help. Because of her, I’ve picked up every stray I could get my hands on, and I always will. One of my dreams is to have a fantasy novel published. And the other is to have my own horse rescue, or at least enough land to foster horses for a rescue. I love anything lavender-scented or pumpkin-flavored, handwritten notes, ’80s movies, bookstores and coffee shops, rainy mornings and summer thunderstorms, and stuffed animals. I work for a financial publishing company as an editor. Thank you, it’s great to meet you, too! I always love reading these little snippets about the authors of a blog… puts an interesting perspective on their lives. Thank you for nominating my blog, Marie Anne! I appreciate your confidence in me, and I look forward to reading your posts as well. Thanks, it’s always hard to choose what to share about yourself… I try to think, if I was someone else, would I find that interesting? Haha. I really enjoy your pictures and writing, and look forward to a possible reappearance of Daisy! Thanks so much for the nomination! Always great to meet a fellow Tolkien fan and a lover of horses. I, too, LOVE the smell of lavender and I cry a little bit every year when they take the pumpkin and pumpkin spice food offerings off the shelf after the holidays. Why, stores, why? Grimm also thanks you for the very cool award–he is inspired by your kind offering. Plus, he thinks you’re awesome for naming your blog after your beautiful horse. What would we do without our inspiring pets? You are most welcome! I had no idea you were a fellow Tolkien fan and horse lover! I know, I always stock up on cans of pumpkin in the fall. And sometimes, even after coffee shops take the pumpkin-flavored coffees off the menu, they have some bottles of flavoring left over, and use it up on request. Grimm is welcome, too, and give him an extra head scratch or belly rub for me! Pit bulls are such great dogs… they always seem so happy, and their faces are so expressive. I know I’d be lost without all the wonderful animals in my life, for sure.